Greetings, Adventurers! Welcome to the Augmented Realms™ Patreon! Are you prepared to enhance your D&D sessions? If not, then start sharpening your swords and polishing your plate mail; In January 2018, we began developing a Tabletop RPG supplement that will breathe life into your narratives and adventures - Augmented Realms™. Our mission is to provide game masters and their players the ultimate tool for a superior tabletop RPG experience. (If you are interested in a one-time donation for any lifetime perks, please email us at [email protected]). Augmented Realms™ is a WebApp and MobileApp designed and built with the intention of creating and supporting the most immersive Tabletop RPG experience possible. Unlike most other platforms, Augmented Realms™ will be featuring 3D environments and 3D assets. 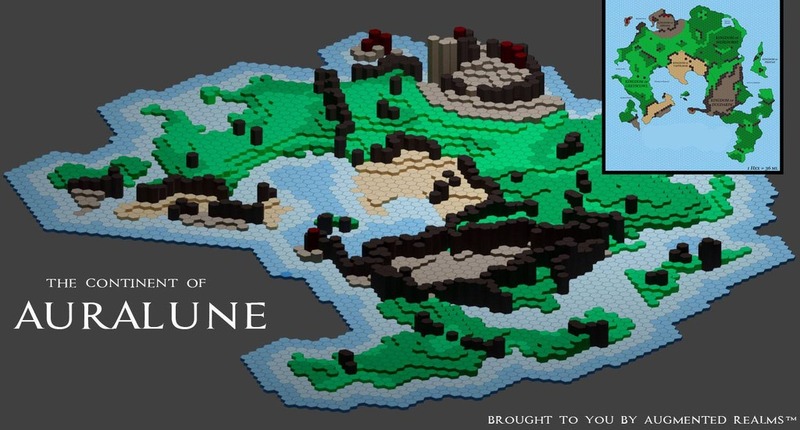 Do you have a digital 3D model of a miniature somewhere on your harddrive? Or do you have experience in 3D modeling? Great! You will be able to upload them and use them in Augmented Realms™. If not, that's okay, you will also have a stock library of assets to choose from. Rewards have been updated. If you have been a patron since March 2018, please review the updated rewards. How can we enhance the D&D experience? I do not have a 3D printer but would like to see my models in the "real-world"
Above is only a handful of problems that players, dungeon masters, and digital content creators face. Augmented Realms™ hopes to provide solutions for those problems and much more in the near and coming future. D- D- Did someone say Discord? When you become a patron we will send you an invite to our Discord server where you can join and interact with the community and message each of the development team members directly. 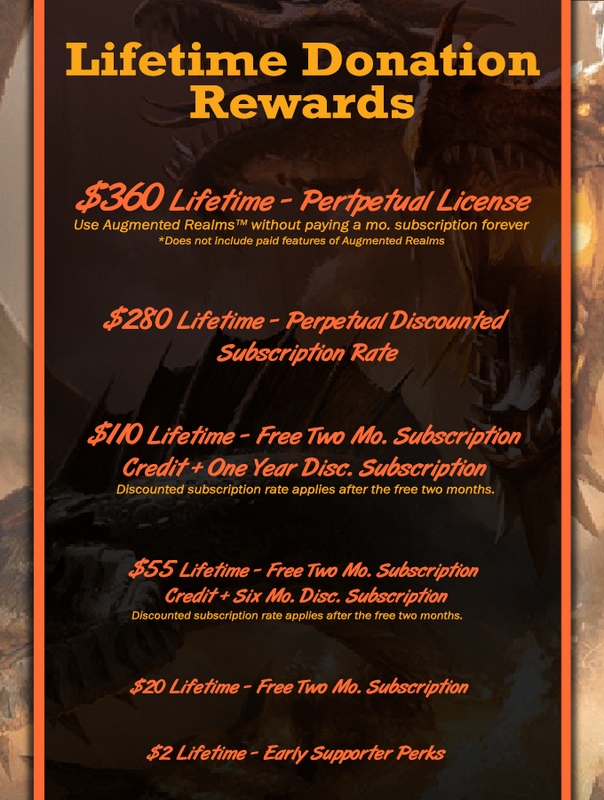 The best time to support Augmented Realms™ is now! As a Supporter we will. . .
- Credit you at the end of our official launch video. 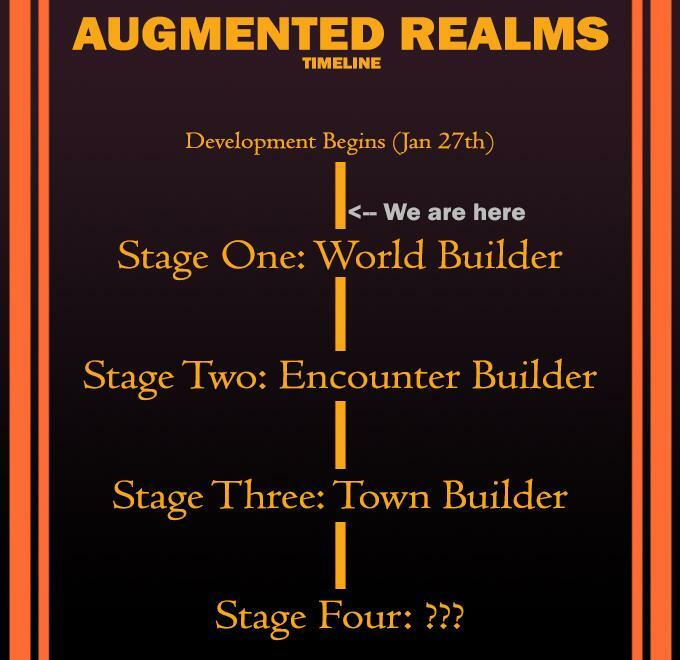 Welcome to the the community and thank you for supporting the development of Augmented Realms™! The Apprentice tier is our most popular tier. As an Apprentice we will. . . The Journeyman tier is built for aspiring D&D enthusiasts. As a Journeyman, we will. . . The Master tier is built for D&D enthusiasts. As a Master, we will. . .
- Grant you three realms with expanded scene capacity. The Grand Master tier is built for veteran D&D enthusiasts. - Upgrade to t-shirt from "Master" to "Grand Master"
- Grant you four realms with increased scene capacity and object capacity.